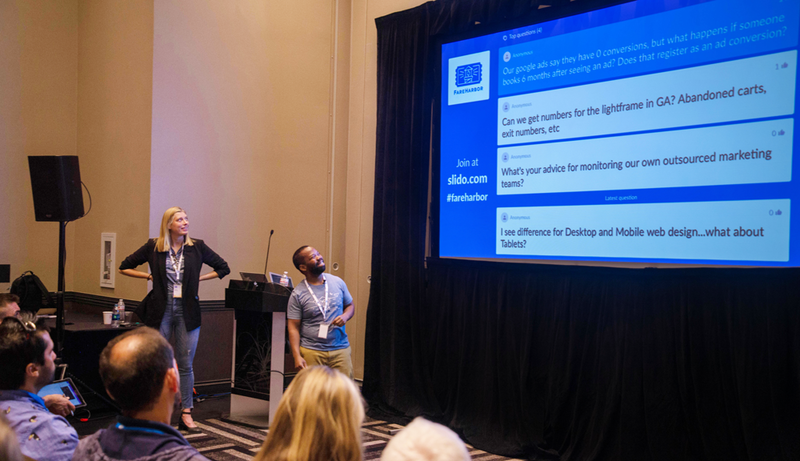 One week has gone by, and if you were unable to attend FareHarbor Conference in Hawaii, you missed out (and we missed you!). It was a full day packed with engaging one-on-one discussions, speaker sessions, and a networking happy hour for the decades. 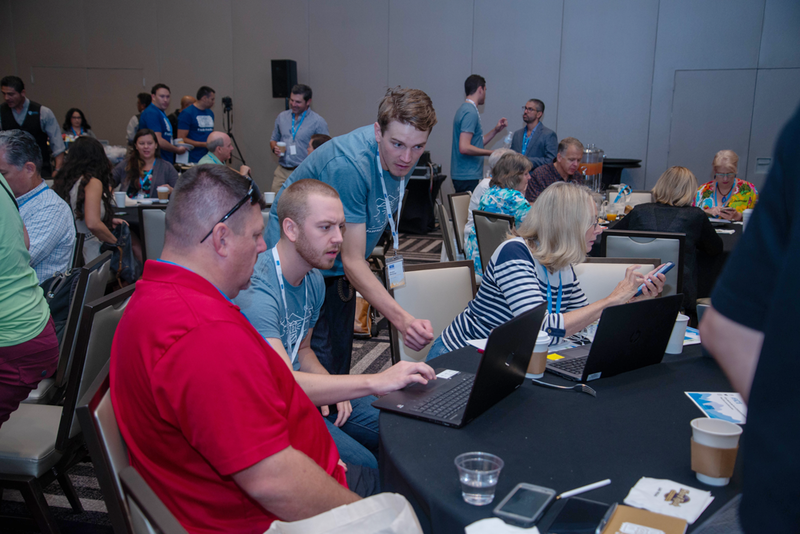 Our team was excited to get back to our roots and spend time connecting with over 300 incredible attendees who made FHConference a wild success. There was a real sense of Ohana, and it was great to see everyone contributing to the conversations around Hawaiian tourism. Seeing the excitement within the Hawaii market reaffirmed FareHarbor’s commitment to keep delivering real and transformative value through everything we do. 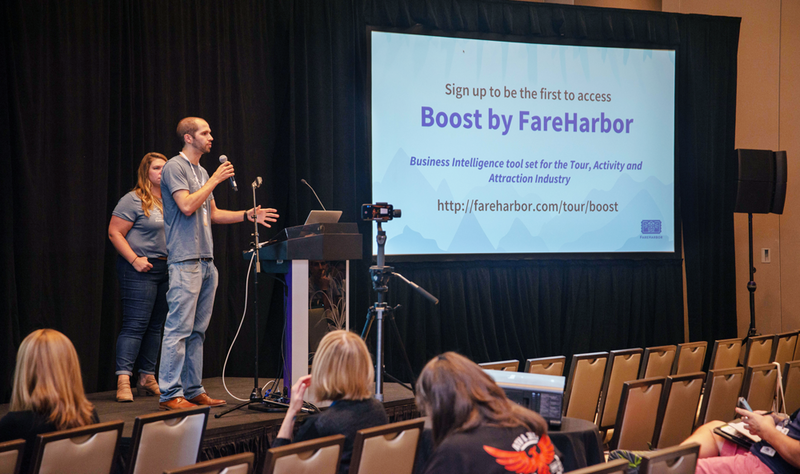 While it’s nearly impossible to capture all of the one-on-ones, presentations, and networking that went on, here are a few tools that were covered at the FareHarbor Conference to bring back and apply to your business. Email Marketing – According to Statista, 90% of American adults use email. Email within the travel industry specifically yields a high open rate of 20.69% according to MailChimp. The benefits of email marketing for your tour business can include building brand loyalty, attracting new customers, and allowing you to compete with larger tour companies. Head over to Compass, our online suite full of resources to grow your business, to learn more about email marketing and get started with your first email campaign. Google Analytics – With more and more travelers looking to book activities online, having an optimized website can do wonders for your business. Using Google Analytics in conjunction with your website can provide valuable insights into the best way to run your site. As a free online tool, Google Analytics can help you track your web visitors’ behaviors and analyze your traffic. There are thousands of ways you can slice and dice the data you have available in Google Analytics, so let us help you! Head to our help page to get started with setting up a free analytics account. PPC Advertising (Pay-per-click) – According to Ipsos MediaCT, 80% of travelers start shopping for tours to book for an upcoming vacation by searching online. Having a paid search strategy could greatly benefit your business growth. By visiting FareHarbor’s Compass page dedicated to showing you how to get into PPC, you’ll learn how to control your advertising costs, optimize your ads, and increase your conversion rates. Don’t wait to start boosting your business. The number of ways to promote your tours can seem daunting, which is why we offer easy ways to connect your activities to third-party resellers, including Online Travel Agents (OTAs), other tour companies, and local connections within your area. These useful tools allow you to work with businesses to reach travelers in different market segments and increase your reach. API and Affiliate connections – By using our Application Programming Interface (API) connections, partnering with online travel agencies like Expedia or Viator can be easy. Availabilities between platforms are updated in real time and can be seen from your FareHarbor Dashboard. To learn more about setting up your API, get in touch with our connectivity team today. Reserve with Google – FareHarbor’s recent integration with Reserve with Google is a revolutionary way to connect Google search users right to your activities. When travelers search for an activity using Google Search, Google Maps, or Google Assistant, they will be matched with your available offerings and an option to book right from the Google page. FareHarbor gets your business on Reserve with Google and gives you full control to manage which activities are available for booking. Get discovered and booked through the world’s largest search engine by reaching out to our team today. Partner Program – Grow and support your business by connecting with local resellers in your area who are also using the FareHarbor platform. Our Partner Program is a regionalized network of FareHabor clients who opt-in to resell and be resold by one another for a commission. We introduced this program as a way for you to easily gain more exposure for your business, all while earning commission on referrals. Learn about existing Partner Programs and how you can get involved. Our Dashboard track focused on a bunch of new features that were introduced over the past year. We’re always trying to take the customer’s experience to the next level, and the following Dashboard additions make improvements to the overall ease and accessibility of your bookings on both the front and back end. Select a feature below to get started! Thank you to each and every person who made FareHarbor Conference Hawaii a success. We can’t wait to see the value you bring back to your business and your team to make a difference. Make it stick by applying these tools! If you missed the FH Conference in Hawaii, we’ll be heading to Orlando in October 2019 for conference number two. Stay tuned for updates and sign up for more information by visiting fareharborconference.com. This morning I woke up to a sunrise like no other. Gold and pink hues spread out across the expansive baby blue sky in every direction and the reflection of the cocktail of colors brought out blues in the distant ocean that words can’t do justice. The stone-paved roads of Capri began to appear, winding from side to side down to the water’s edge. And then, in an instant, the text message that popped up on my phone ruined the moment, blocking the view of the sunrise in my Instagram feed and casting me back to reality. But you can bet ‘see a sunrise in Capri’ was added to my travel list. Instagram has gone from something fun we do when we travel to an entirely separate reason to travel, and the tourism industry is picking up on the trend. Technology has made planning and booking travel easier than ever. In fact, more than 70% of people are using their smartphones for the entire process, from destination inspiration to booking tickets, and Instagram is the epicenter for that initial planning piece. It’s been estimated that users are less than 10 clicks away from seeing an image on Instagram and booking a ticket to go to the location pictured in the post. The more technology evolves, the smaller the world gets and the sense of wanderlust that social media creates plays a large factor. As easy as posting a great picture sounds, the irony is that it takes a lot of knowledge to understand how to curate the perfect “authentic” Instagram travel experience. Trolltunga’s visitor count rose from 500 to 40,000, mainly including hikers and bikers who stand in the long line of visitors every morning waiting to get the perfect Insta-worthy shot which you would probably never expect from the vast, desolate, and open area the lens captures. Today a picture is not just worth a thousand words. It can be worth thousands of actual dollars. With just one post, someone can change the way we perceive a city, an experience, or an entire area of the world, whether that person has five followers or five million. The evolution of the average person’s social reach has become so expansive that we now pay people to try out our product, have them turn it into a promotional experience and call them ‘influencers.’ Influencers have this ability to look at their audience and understand the value that they bring to every single one of their followers. By tapping into those valued areas, influencers reach new audiences on a personal level and convey a relatable, authentic point of view that makes followers feel as though they are being recommended an experience by a friend. In certain respects, thinking along the lines of an influencer is something your business should be taking into account every time you push out a post. Find that niche your audience values and play to it. Is the adrenaline that rushes through previous jumpers evident in every skydiving video you post? Or have you captured the calm blue waters and green mossy unknown that waits for your customer on their next paddle boarding adventure? Finding that sweet spot for your audience is key to crafting the perfect post with our guide on how to use instagram for business! Tip #1: Get creative with storytelling. In this day and age, you don’t need to be a photographer to capture high-quality photos that tell a cohesive story. People have an eye for content with human aspects that brings them to a place where they can imagine themselves traveling and discovering. Take a second to stop and think like a customer. What would make you pause in the middle of your tour to capture an image to post to social media? Nail that authentic “Instagrammable” moment and pair it with a crafty caption that matches the tone of your brand. You have up to 2,200 characters to tell an engaging story, and one of the components of the algorithm that sends posts to the top of users feeds is the time spent on a post. The longer someone spends on your post, the higher you’ll show up in your followers Instagram feed. This isn’t to say you need to use 2,200 characters in every one of your posts, but composing a full sentence or two rather than a few emojis can help you climb the ladder. A good caption can be the difference between a post that gets overlooked, and one that breaks through the clutter with a unique emotional or engaging spin. Tip #2: Social media is meant to be just that, social. When you are actively engaging with your followers, adding accounts with similar interests, and interacting with users in your area, you’re almost guaranteed to see an increase in engagement and followers on your own account. In turn, your business name will show up for similar content around Instagram. For example, a group visiting from out of town posted a photo of their deep sea fishing trip from the day before and tagged the fishing charter they used. You had left a comment on one of the charter’s pictures and all of a sudden the group lands on your Instagram page full of heavy jet skiing imagery wanting to take a jet ski ride themselves. Next thing you know, you’ve given that group some instant gratification and they have given you your next five bookings. Tip #3: Take advantage of Instagram stories. Here is one of our favorite Instagram best practices for businesses! First off, Instagram stories are placed at the top of app users’ feeds when they open the app which could not be more ideal for visibility. Next, since stories are meant to be taken in real time, the quality doesn’t have to be as high as your normal posts. Perhaps the most important aspects of Instagram stories are the authenticity and trustworthiness they can bring to your business. Stories can be a great way for you to brag about your business a bit with some user-generated content. Instead of filling your business’ Instagram page with people mentioning or tagging your Cajun crocodile swamp tour, you can create advocacy and show your current fan base some love while showcasing your tour and building credibility with those who may book in the future. Save these types of stories under a ‘highlight’ album for your followers to reference past the 24-hour live window. What kind of inspiration are your posts feeding the hungry travelers when they open Instagram? Is it a calm morning in Capri? A blood pumping UTV trip in Aruba? Whatever it may be, we hope these Instagram business ideas will help you begin to paint that picture. The one thing to remember when growing your social presence on Instagram is that it won’t happen overnight, but getting the ball rolling will get you on the path to building an organic traffic goldmine. To learn more about social media’s impact on the travel industry and how you can stay ahead of your customers, be on the lookout for our webinar dedicated to social media and growing your business! Find out more on our webinars page. Just days back from Berlin, we’re still on a tourism and travel high from joining the Arival and ITB conferences. Both of these events brought exhibitors representing every corner of the world under the roof of one amazing city. Our expectations were exceeded when we were joined by the 160,000 attendees who all gave us some serious insight into our industry and current travel trends. In between logging countless miles (or kilometers) walking the exhibition halls, the FareHarbor team held it down in Berlin visiting with partners, clients, and new and old friends alike. 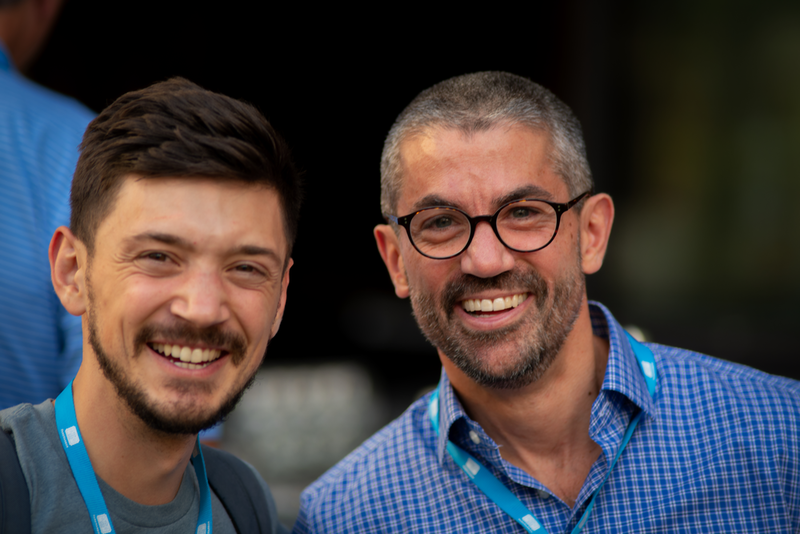 As we keep expanding into Europe and other areas of the world, it’s important to stick to our FareHarbor roots and develop those genuine connections we were founded on, and we were very happy to find that those came very naturally during our time in Berlin. From visiting with tourism boards, tour operators, and sitting in on different segments, we noticed a few trending topics emphasizing sustainability and overtourism in the travel space, technology continuing to expand for operators but not at the cost of exceptional service, and bridging the gap between all in the tourism industry. Operators in all areas of the travel industry are putting a higher emphasis on sustainability and overtourism. Areas such as Costa Rica, South Africa, and Venice who have relied heavily on ecotourism in the past have have come forward and began to take new approaches into preserving their rural populations and increasing environmental protection. Costa Rica themselves are sustaining their energy sources by using 99 percent renewable energy and have recently undergone massive reforestation efforts to counter the overtourism in ideal areas for European hiking and beach holidays. Other’s have joined in the sustainability efforts including the home to FareHarbor headquarters, Colorado, asking all who travel to the outdoor activity focused area to leave all plastic bottles at home, or better yet, get rid of them altogether. The main question to come from these discussions: Who will be the ones to take responsibility and be the agents of change? Technology continues to build on the ease of travel and areas of booking – and not at the cost of good service for their customers. People are excited about the advancements of tech in travel and that definitely showed at a conference as massive ITB with the introduction of the Technology, Travel, and Activities forum, the eTravel World area growing by 20 percent since last year, and in our experience, technology and activities being the most talked about topic throughout the conference. 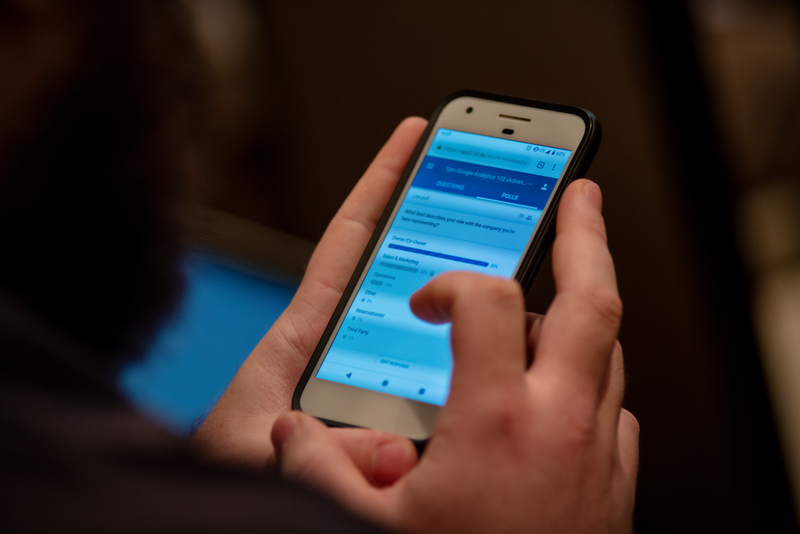 FareHarbor’s own, Drew Barrett, took the stage at the Tech, Tours, and Activities forum and was able to give some insight into why a mobile friendly experience is crucial for booking activities and tours online with one important statistic. 70% of travelers use their phone while traveling. The people booking last minute, or two days ahead of time make up 63 percent of all activity bookings which is moving mobile friendly reservations to the top of a lot of operators to-do lists. Celebrating International Women’s Day while in Berlin presented a great segway into how the tour and travel industry is making strides in bridging gaps across the board. Being the worlds leading travel trade show, ITB has opened a number of doors for voices around the world. As a company who supports the utmost inclusive environments for all, we were excited to be apart of an industry that across the globe, more women work in than men and income disparities are smaller than other industries. Also coming from the Global Report on Women in Tourism, our industry offers women a better chance of reaching executive positions and further, becoming successfully self-employed. The LGBT+ tourism community has also not only made strides in the ITB space, but the tourism and travel world as well, noting that more and more countries are legalizing or embarking on recognizing civil partnerships between same gender partners. This has lead to a boom in LBGT+ travel in a number of countries. And for all of those tour operators asking for FareHarbor to make a move into your area of the world, we’re coming for you and we’ll be there soon! In the meantime, we’re so glad to have been a part of ITB and Arival in Berlin and we’ll be back next year with more stroopwafels! Many of the speakers on these discussions mentioned above recognize the travel industry still has a lot of room to grow and improve, but as a whole, we are headed in a great direction. We believe this is the case for everything we took away during our time in Berlin, and we can’t wait to see what next year brings! Find all of these highlights among many other discussed at ITB by visiting the ITB eLibrary. Our distribution network just got an exciting new addition! We’re happy to announce that we’ve partnered with Reserve with Google to make your tours bookable on Google Search, Maps, and the Reserve with Google website. What is Reserve with Google? Reserve with Google allows users to buy tickets for tours, activities and attractions directly from the Google Search, Maps and the Reserve with Google platforms. With the new API integration between FareHarbor and Reserve with Google, you can add a book button to your Google listing to sell your activities with live, real-time availability. Any bookings will flow directly into your FareHarbor Dashboard; no added work necessary! Why are we so excited about this partnership? 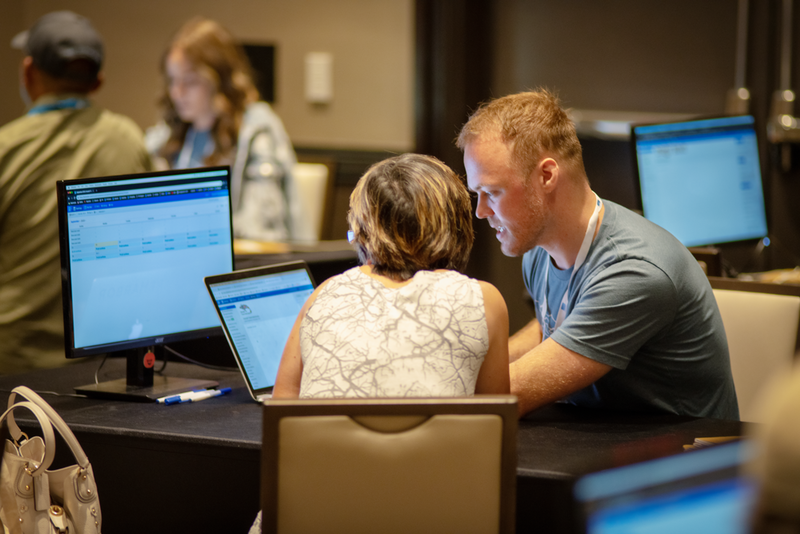 The connection between FareHarbor and Reserve with Google makes it easier than ever for your customers to move from researching to booking an activity, which means nothing but good things for your business. Gain exposure to new customers as they browse Google Search, Maps and the Reserve with Google platforms. Offer your tours, activities and attractions in live, real-time availability directly from the Google platforms. New bookings flow seamlessly into your FareHarbor Dashboard, including availability, customer information and payment. Reserve with Google bookings are commission-free! How can I get my business listed on Reserve with Google? If you’re a FareHarbor client, you’re already halfway there! This booking capability is available (and free!) to anyone on FareHarbor. Just get in touch with our Support team if you’re interested in learning more. The only other requirement is that your business is registered on Google. Registering your business on Google is both a really simple process, and a smart move for any business looking to gain exposure to online customers. Great for both your customers and ours, this partnership is something we can all get excited about. We can’t wait to see how Reserve with Google helps you grow! If you’re not already on FareHarbor and are interested in learning more, please get in touch with our team. It’s an exciting week! Not only are we attending two of our favorite industry conferences, but they both happen to be taking place in Denver, CO, home of our North America headquarters. We’ll be kicking off the week at the Colorado River Outfitters Association Convention and Tradeshow, before heading to the Association for Challenge Course Technology Conference and Exposition! If you’re attending CROA or ACCT, be sure to stop by our booth and say hello! 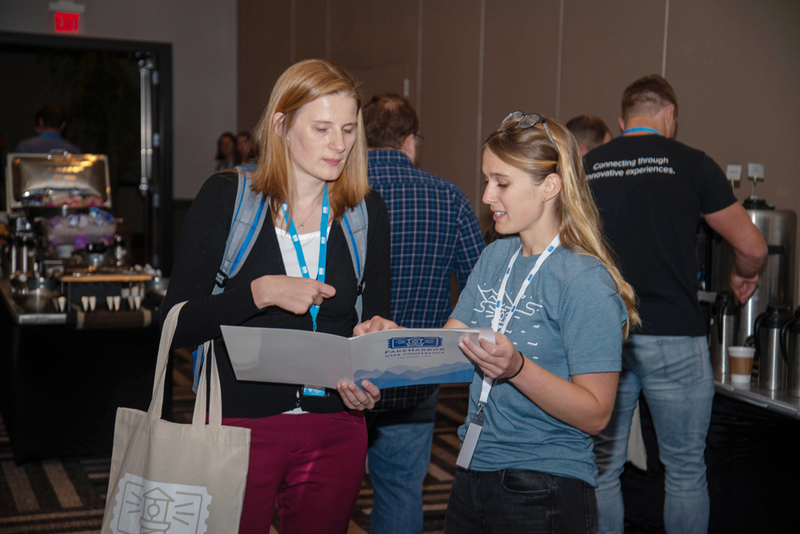 Over the years, the CROA and ACCT conferences have provided an incredible opportunity to learn from industry thought leaders, network with like-minded outfitters and celebrate the future of outdoor adventure tourism. We’re thrilled to be back at these conferences again this year, especially since they’re here in our own backyard. 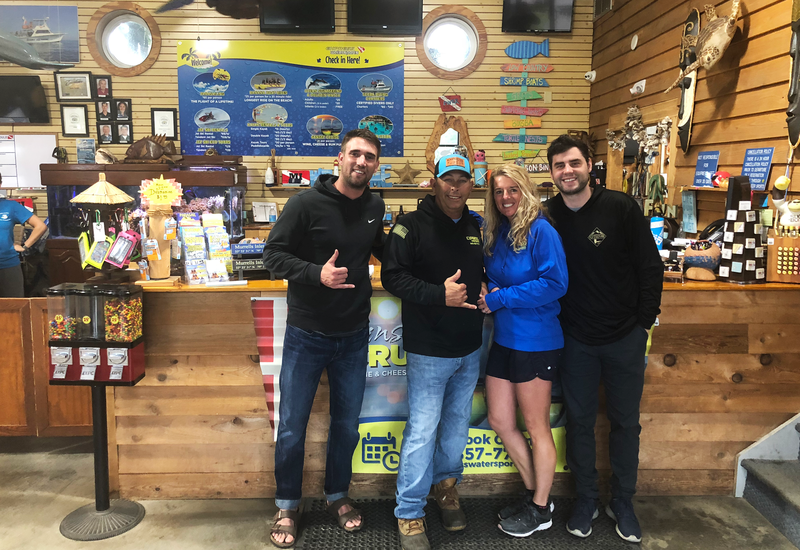 CROA, a trade association representing approximately 50 licensed professional river rafting outfitters, specializes in providing outstanding outdoor adventures for families and individuals of all tastes and capabilities. The CROA annual Convention and Tradeshow will be open to current members, prospective members and agency officials. At the show, you will have the opportunity to network with other outfitters, attend multiple seminars designed to help your operation and meet with over 60 vendors in the outdoor adventure industry! If you are attending, please stop by and say hello to your FareHarbor team! FareHarbor will be one of the featured sponsors at the 29th Annual International ACCT Conference and Exposition! 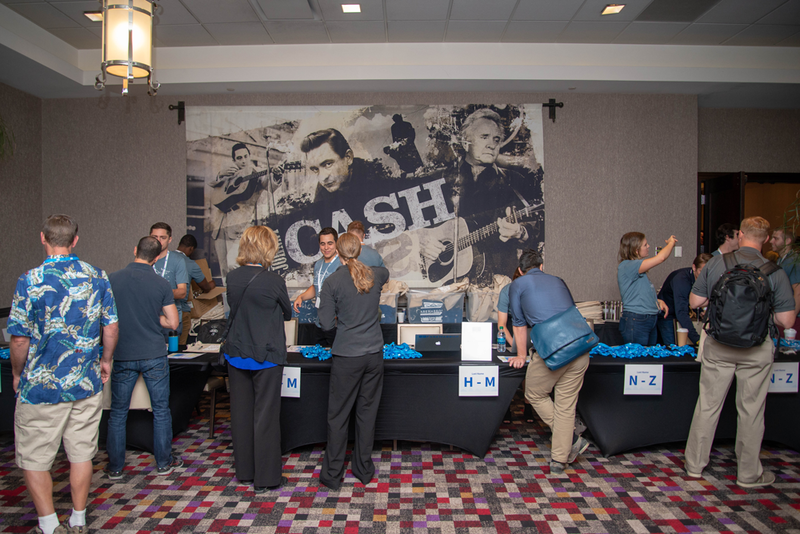 The ACCT Conference is a four-day conference for builders, owners, operators practitioners, facilitators and all industry professionals who are serious about the evolution and growth of the challenge course / aerial adventure park industry. 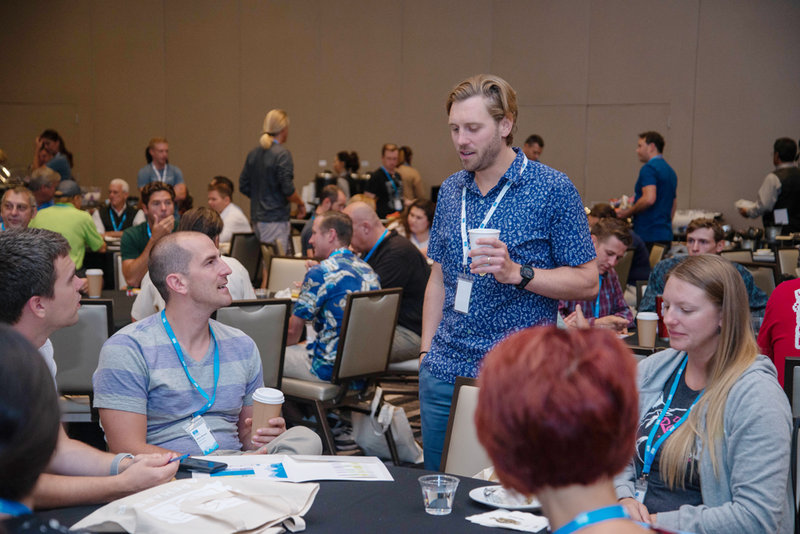 Join the rest of the inspiring brand, marketers, industry thought-leaders and influencers as they converge in Denver, to provide you with cutting-edge knowledge and advanced training. We’d love to connect while we’re both there! Stop by our booth to say hello. At FareHarbor, we’re always working hard to bring you new tools and strategies to grow your business. Our latest initiative will help you take full advantage of one of the best resources there is—our community! To help create a space where tourism professionals like you can meet, share and learn, we’re launching FareHarbor Meetups. A series of networking events located all across the globe, FareHarbor Meetups are a place to exchange ideas and knowledge with your peers in the tour & activity industry. With the goal of building our community, we’re inviting clients and colleagues to come together for a casual evening to ask questions, share best practices and get real-world tips on running a tourism business. Of course, our team will be there too. So if you have Dashboard questions or find yourself needing some in-person support, FareHarbor Meetups are the perfect place to handle it. We’re adding new meetup locations all the time, and already have places like Maui, Vancouver and New York on the calendar. 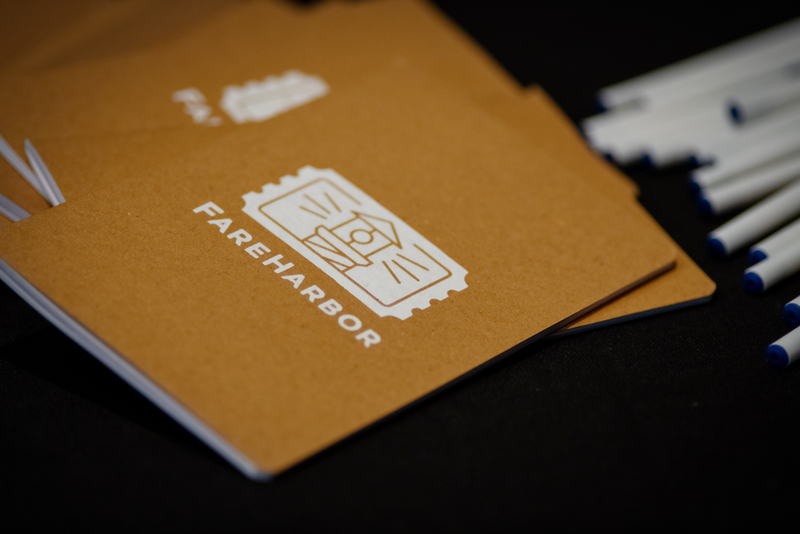 Be sure to bookmark the FareHarbor Meetups website and check back regularly to see when we’re coming your way. If you’re attending a meetup or want to check in on the meetup experience in other cities, check out #FHmeetups on social media! 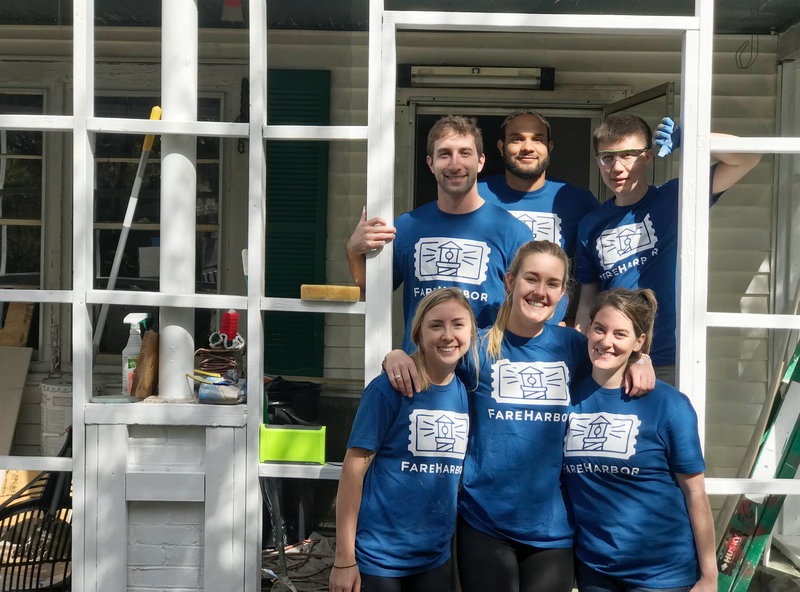 Ask any of our employees and they’ll tell you—one of the best things about FareHarbor is the community built around it. Although we’re connected by business, the little stories about life always seem to work their way in. 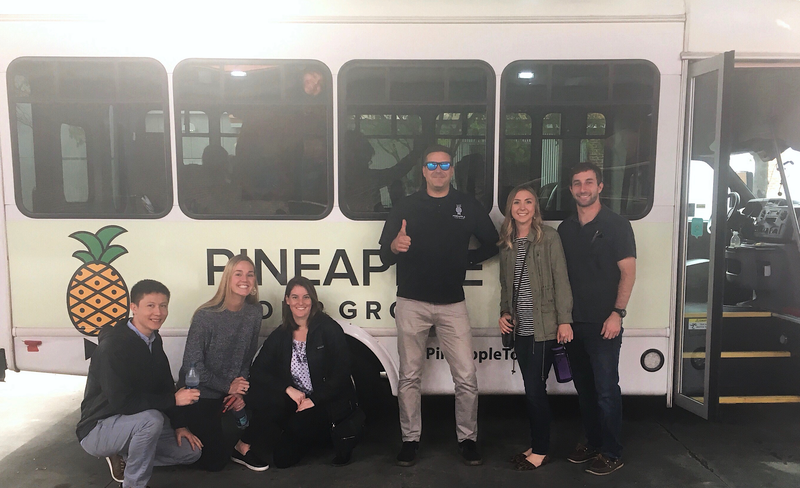 Whether it’s tacked onto the end of an over-the-phone training or tucked into an email about affiliates, we love getting to know the people, places and reasons behind the businesses we work with. So when Hurricane Florence swept through and rattled part of our community, we felt it. 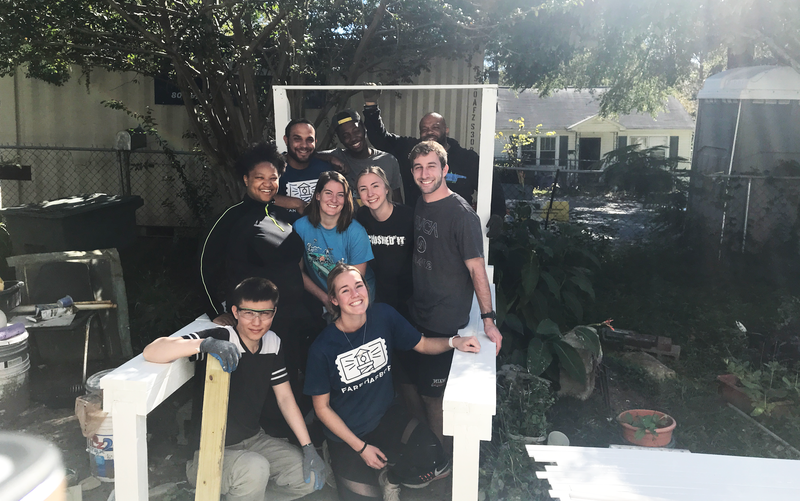 We turned to our friends at SBP and Americorps, who helped us connect with families in North and South Carolina that needed a hand in rebuilding what they’d lost. 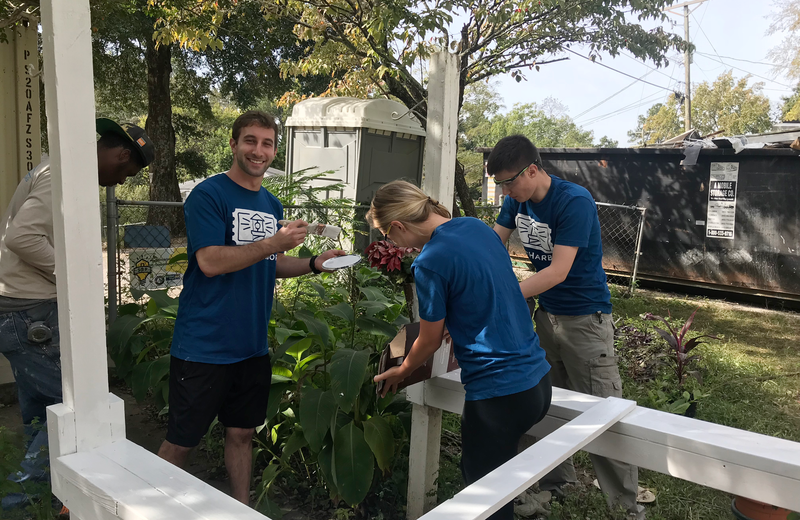 Our team of twelve volunteers headed to Columbia and New Bern to help repair homes damaged by Hurricane Florence and Hurricane Joaquin. The trip was incredible! Both the volunteer teams we worked with and the people we were there to help were warm and welcoming. Replacing wet insulation and painting baseboards was certainly a change of pace from the work we’re used to, but all too worth it. What a gift to make a difference for someone like Catherine, the sweet, 90-year old Columbia native whose severely water damaged home was infested with bugs and plagued by leaking water prior to our arrival. After so many trips to the area for business alone, we were happy to be in the Carolinas with a bigger purpose. But still, we couldn’t pass on the opportunity to meet with some of the locals that had us charmed with the area in the first place. When our time with Catherine and the others came to an end, we stole away to visit some FareHarbor clients in the area. We ended up visiting more than twenty local tour & activity businesses between North and South Carolina, tipping the trip into the “best ever” category. 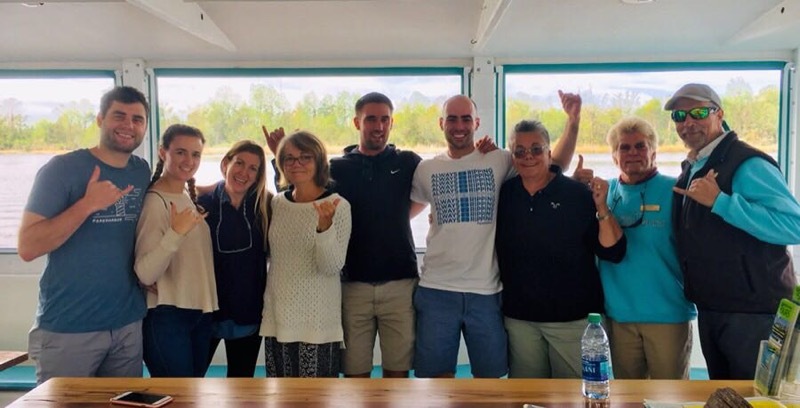 We watched osprey catching fish with Wilmington Water Tours, sipped our way through a historic pub crawl with Original Pub and Brewery Tours, dined on she-crab soup in Charleston, got spooked at a haunted jail with Bulldog Tours and enjoyed countless other moments connecting with our amazing, local clients. Perhaps most importantly, we enjoyed the priceless reminder of why we love this industry as we do. Thank you to everyone in North and South Carolina that we had the opportunity to connect with. We left feeling inspired, motivated and ever grateful for the people and places we’ve met through FareHarbor. A special thank you to SBP and Americorps for organizing an incredible volunteer trip. It all starts with you! Ah, the consumer holidays. They tend to sneak up quickly and when they arrive, it’s in full force. Especially in the age of e-commerce, where Black Friday and Cyber Monday have become more accessible than ever, the excitement surrounding the consumer holidays is growing. In fact, online sales for Black Friday alone are expected to grow 15.31% from last year, soaring to an incredible $5.8 billion dollars in transactions. The fervor around the weekend presents a huge opportunity for businesses in the tour and activity space. Customers new and old are both more engaged and more likely to try out a new brand when it comes with a lower cost. So how do you make the most of the weekend? We have a few ideas up our sleeve. 1. Start prepping your marketing strategy now. We know this one comes as no surprise, but it’s true! The sooner you start preparing for Black Friday, Cyber Monday and Giving Tuesday, the better your campaign will go. Put time and energy into the process and the outcome will naturally follow suit. What do we want to push customers towards? Seasonal items? Gift cards? Best-sellers? Package deals? Will we offer a discount? Buy-one-get-one-free? A branded item with purchase? How do we want to advertise our promotions? Do we want to send out an email? Should we segment our email list? Which social sites should we market on? What hashtags could we use? Already using FareHarbor and need help setting up promo codes? Check out our help guide, or just get in touch for help! 2. Don’t underestimate the power of gift cards. Although gift cards make an important addition to any Black Friday marketing campaign, this is especially true in the tour and activity industry. Gift cards are a user-friendly way for customers to gift an experience to friends or family, or to purchase an activity for a future trip. Because they eliminate the need for tricky details like dates, times and even group size, gift cards are an easy sell in your off-season, especially as people begin buying gifts for the holidays. 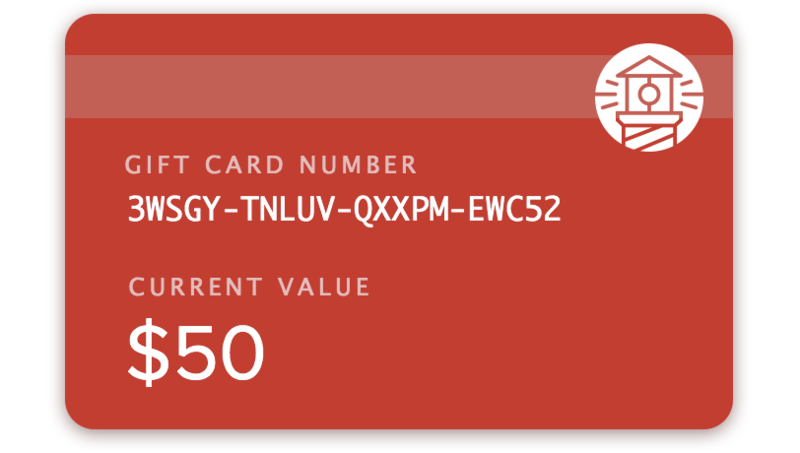 If you use FareHarbor as your online booking system, you can sell gift cards just as easily as you sell any other item. Link directly to gift cards from a button on your site, or add them to your reservation page alongside other bookable items. Remember, gift cards sold through FareHarbor are digital gift cards that can be redeemed online, in-person or over-the-phone, all through FareHarbor. Don’t hesitate to promote gift cards on your homepage and in your email marketing campaigns. They’re an easy purchase for your customers, help boost off-season sales, plus 75% of gift card holders end up spending more than the original value. 3. Get serious about social sharing. In a world where shoppers are exposed to dozens of brands on a daily basis, it’s no wonder consumers are growing fatigued with digital marketing. As a result, consumers are learning to look for user-generated content—such as photos, reviews, tweets and blog posts—that is created by unpaid contributors. Considered to be 85% more persuasive than content that comes directly from your brand, user-generated content is just as effective as a personal recommendation from family or friends. User-generated content is considered to be authentic and honest, which makes it gold for your business. If you collected user content last year, such as customer reviews and photos, now is the time to put it to use. If you didn’t, focus on collecting it this year and then use it to boost Black Friday sales in both 2018 and 2019. Featuring your customers’ content on your own social pages or blog whenever they tag your business or use your hashtag. Offering a discount, stickers or t-shirt to customers who @mention your business, check-in on Facebook, or use your hashtag. Running a contest on social media. Sounds daunting? Here’s a guide that’ll help you get it right. 4. Go big on email marketing. Create anticipation. Sending your first email out before the promotion begins helps overwhelmed consumers prioritize their shopping strategy, as well as create anticipation for what’s to come. Give extra love to past customers. The best way to create loyal customers that return time and time again is to show them just how much you appreciate them. An additional discount or early bird access helps build the kind of relationship that can transform a past customer into a full-on brand advocate. Make sure your emails are mobile-friendly. Big, bold, image-heavy designs can be tempting—just make sure it’s all mobile-friendly. There’s nothing worse than getting your email in front of the right person, then losing the sale because your call-to-action button is wonky on mobile. Include CTAs that link directly to the promotion. If you’re marketing a specific tour or activity, don’t forget to link your call-to-action directly to the item that you’re promoting. This prevents the user from having to click around your site, thus increasing your chances of converting the customer. 5. Create balance with #OptOutside or Giving Tuesday. Even if consumer holidays aren’t quite your cup of tea, you don’t have to sit this weekend out. While consumers are hyper-engaged, watching for deals and promotions from their favorite brands, take the opportunity to build brand awareness around your values rather than your products. 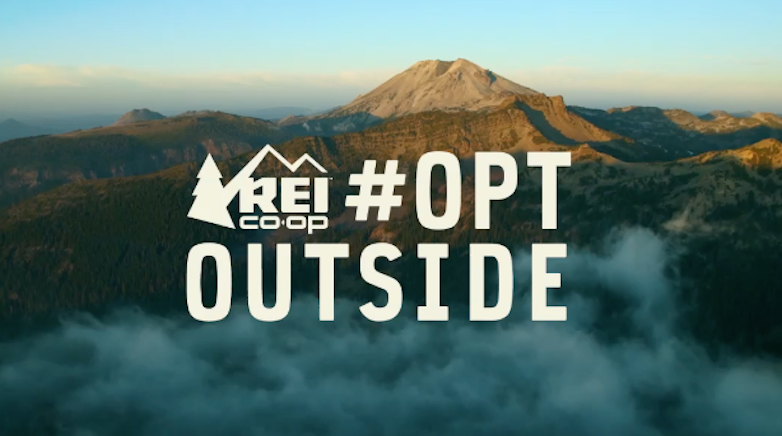 It’s an approach that’s been gaining in popularity after REI, a major outdoor retailer, launched #OptOutside four years ago. Acting against the mass consumerism that’s come to characterize Thanksgiving weekend, #OptOutside encourages people to spend the Friday following Thanksgiving away from the computer, instead opting to spend the day outdoors with friends and family. And much to our benefit, we operate in an industry that centers on experiencing life beyond material goods! Since launching, the campaign has been adopted by hundreds of businesses that agree with the sentiment. Yours can be one of them! Share why your business is choosing to #OptOutside on your social media pages, making sure to use the hashtag in your post. 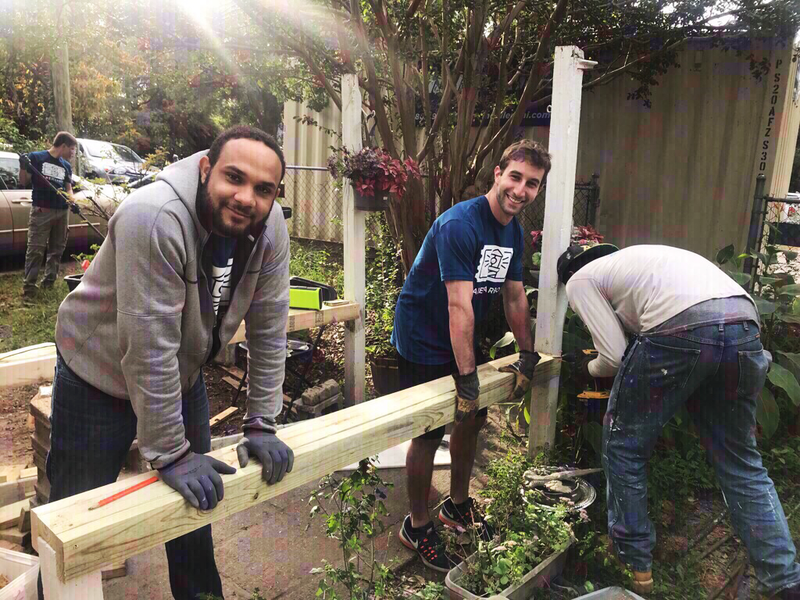 Increase impact by sharing photos of your employees outdoors, and be sure to invite your customers to do the same. Similarly, Giving Tuesday takes place the Tuesday after Thanksgiving, and is meant to turn the rush of the consumer weekend outwards. Created to foster charity and community during the holiday season, this perfectly complements the spirit of #OptOutside. Giving Tuesday is a great opportunity to give back to your community and sponsor local events, charities or organizations that your business aligns with. Whether you opt for all of these strategies or just one, take advantage of the increased engagement that comes with Black Friday weekend. Or, alternatively, keep these strategies in your pocket for another important holiday or event. Last Monday, magic happened. And it’s all thanks to you! 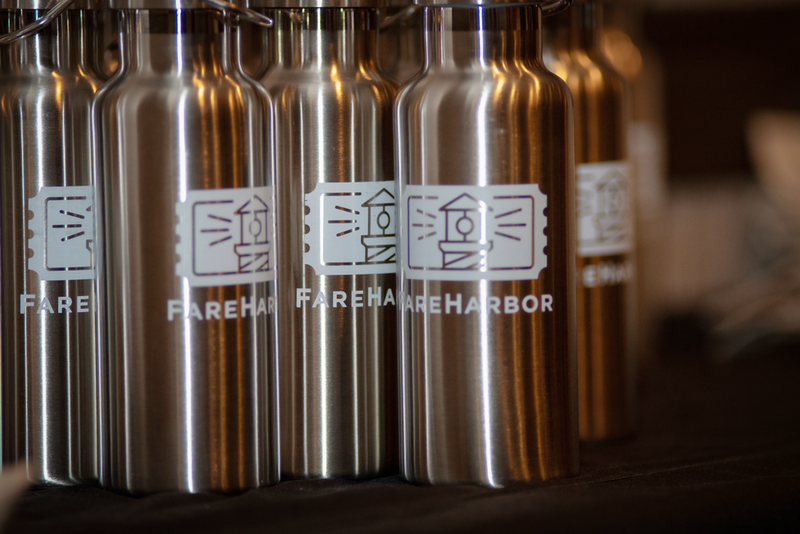 More than 300 attendees from 7 different countries joined us in Las Vegas for a full day of all things tours, activities and of course, FareHarbor, at the very first FareHarbor User Conference. 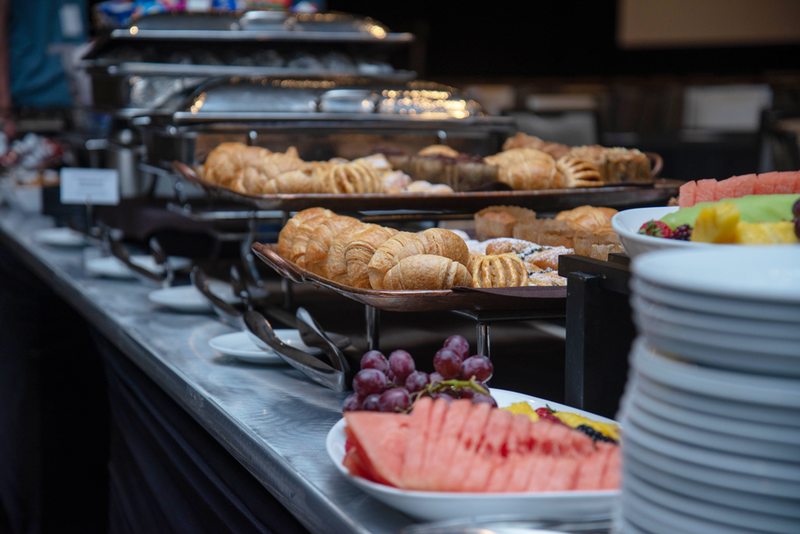 Ever focused on growing your business, we packed one-on-one meetings, educational sessions and even a feature release in between the countless conversations, connections and some pretty tasty food (if we do say so ourselves). After an endless amount of phone calls and emails exchanged, it was incredible to meet so many of you face-to-face. Our team left feeling humbled by the community that’s formed around FareHarbor, and motivated by the passion and drive you all have for this industry. More than 60 friendly faces from the FareHarbor team in attendance. Personalized, one-on-one meetings with 150 clients. 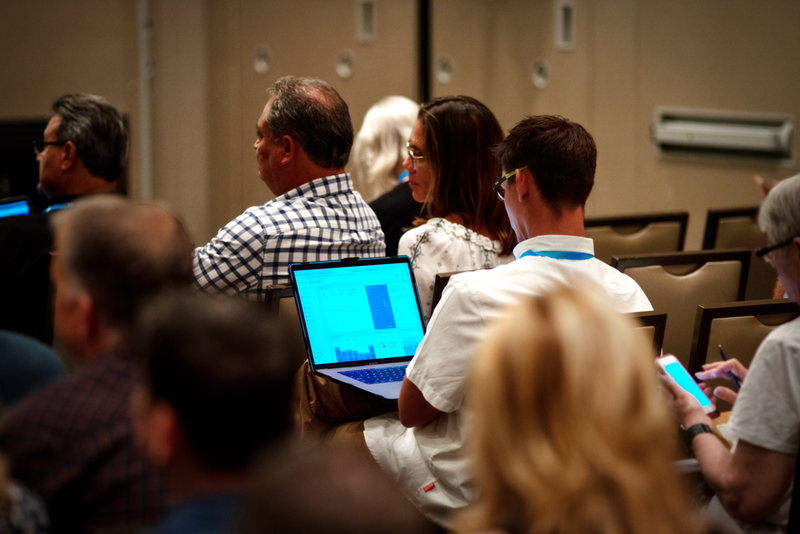 15 general sessions covering everything from social media to Dashboard best practices. Average session rating of 4.5 out of 5 for usefulness. We also announced the release of FareHarbor Boost, a digital marketing program backed by our team of certified experts. The goal here is simple—to support you in making smart, data-driven marketing decisions. We’ll work with you to dig through your data, and deliver custom-built strategies that cater to your business and market. From PPC to SEO, organic search to email, we’ll help you decide what’s working, what isn’t, and where next to focus your budget. As with all of our tools and benefits, FareHarbor Boost is completely free to FareHarbor clients. Simply get in touch if you’re ready for a boost! Our digital marketing experts are excited to start working with you and perfecting your marketing campaigns. Does a blog help SEO? Absolutely! Blogs are one of the easiest and most effective ways to keep fresh, relevant content flowing on your website, and a great way to boost your overall SEO strategy. I’m very active on social media, but I don’t feel like I see much business from it. What am I doing wrong? Is it now a total pay to play arena? When it comes to social media marketing, there are two options: organic and paid. Organic allows you as a brand to control 100% of the channel content and platforms. With organic social media, your posts will reach people who have liked or followed your page directly and have chosen to engage with your brand. On the other end, paid social media allows you to reach users that don’t already follow your brand through boosted posts, offers and promotions. This enables you to target those who have expressed interest in your type of business or service, or a specific demographic. If you’re not seeing great engagement from your social media marketing efforts, try changing up your content or posting strategy. If refreshing your strategy doesn’t increase your brand awareness and engagement, try incorporating paid posts and promotions. Remember, all of social media is trial-and-error. Keep at it, and eventually you’ll find the content, frequency and balance between paid and organic posts that works for you. How do you recommend introducing hotel concierges to becoming an affiliate and using the features of FareHarbor? The best way is get hotel concierges interested in using FareHarbor is to offer the hotel concierge a commission for tour sales, and show them about how easy it is for them to resell your activities or tours. You could even offer them a comped or discounted ticket to your activity, so they can experience your offering first hand and share their experience when selling your activity to guests. Remember, once connected with FareHarbor, they’ll receive a login that allows them to book directly through their own Dashboard. They’ll also have trackable ‘Book Now’ buttons that can be placed on their site, so they can resell with no effort needed! Once you develop a partnership with a hotel concierge, just let your Channel Development rep or our Support Team know and we’ll work with your affiliate to get them set up. Is there a manifest or other way for an affiliate to track their bookings? When the affiliate logs into their affiliate Dashboard, they’ll be able to see all of the bookings which have them tagged as the affiliate in the Recent Bookings section and in the Reporting section of their Dashboard. If you have a question about a specific affiliate, reach out to our team and we’ll go over the various ways it’s possible for your affiliate to track their bookings based on your relationship and set up. Does Telescope allow you to separate out individual tours/products or does it aggregate them all into one average price? FareHarbor Telescope looks at each individual Item for every Availability Month that exists within your Dashboard. Our predictive pricing algorithm then springs into action, taking the Average Price Per Customer for all customer types (Adults, Children, etc.) within that Item. 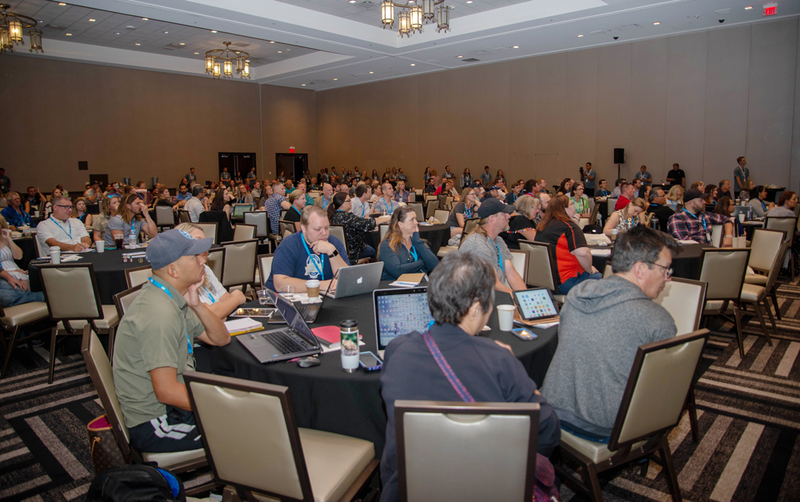 If you that couldn’t make it this year or if you want to revisit the information shared at the conference, check out our library of recorded sessions. You’ll find everything from Google Analytics advice to Dashboard best practices, all with love from our team to yours. Get ready for next year’s conference! We’re still unpacking from this year’s conference—but we can’t help thinking about next year! So, keep your 2019 calendars open for another great event. Until then, thanks for choosing FareHarbor. Onwards & upwards! As a proud launch partner of Arival, we couldn’t be more excited for the conference kick off in just a few days! We anticipate a memorable event, marked by a whole lot of great information, networking and enthusiasm for the industry we all love. If you’re attending Arival, we’d love to connect while we’re both there. 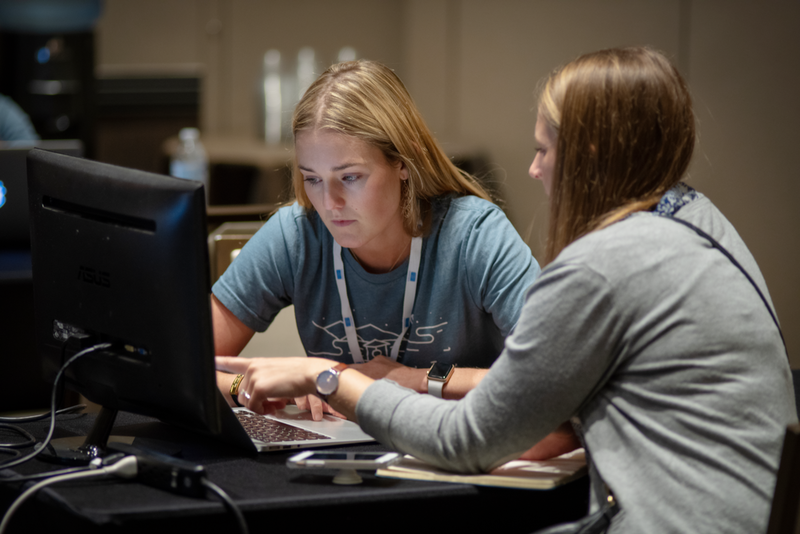 We’ll have people from every team at the conference, from Sales to Account Management, so regardless of whether you’re already a FareHarbor client or interested in learning more, let’s chat. You can find us at the FareHarbor-hosted Workshops and Demo Labs listed below or at the FareHarbor booth in the Artist Hall. And of course, don’t miss Tuesday night’s Hawaiian Luau! We’ll be serving up lots of aloha (and mai tais). Consumers are increasingly drawn to the convenience of shopping for experiences over desktop, tablet, and mobile devices. As tour operators, we need to prepare ourselves to offer quick and effective mediums for users to book activities online in order to stay competitive. FareHarbor is invested in understanding and meeting your operational needs to better service your online customer base. 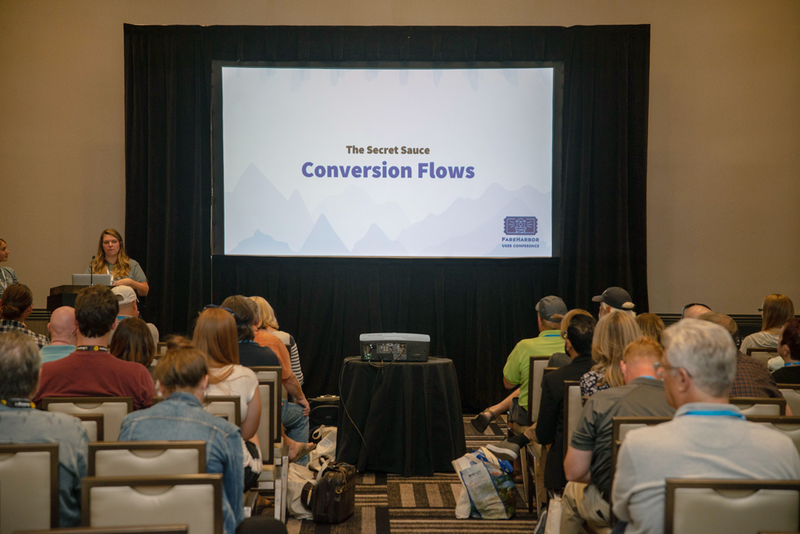 Come learn about some simple tactics we use to optimize industry-specific websites so you can make a dramatic difference in your online revenue. FareHarbor partners with medium- to enterprise-level businesses to boost year over year revenue on a multitude of channels. After joining FareHarbor, our clients outperform their year-to-year online revenue by an average of 250%. Not only do we analyze bookings through your online channel, but we provide industry-specific best practices to streamline your operation so you can cut your administrative costs and drive sales. Learn what our team is doing to ensure continued revenue growth and see the potential growth FareHarbor could bring to your business. Don’t miss out on the FareHarbor Hawaiian Luau! Hosted at the Vanity Nightclub, the party starts at 8:00pm and runs until midnight. Don’t miss it! FareHarbor offers a variety of integration options to help connect you with your third-party resellers in a convenient way. Through API connections, our Agent Portal, or even adding your book buttons to third-party websites, you no longer need to worry about overbooking or updating availabilities. With FareHarbor Connect, connecting to third-parties is completely risk-free. Join us as we dive into the details of FareHarbor Connect, reviewing all the ways it can work for your unique business. We’ll review our different integrations for different types of resellers, and share benefits and best practices. You can find our team at any of these events or the FareHarbor booth in the Artist Hall! We can’t wait to see you!